Melanie Harvey is a law clerk who began working with Mazin & Associates PC, Personal Injury Lawyers in 2014. Melanie graduated from Wilfrid Laurier University with an Honours Bachelor of Arts in Global Studies and Political Science in 2012. Melanie’s education makes her particularly well suited to reading and writing complex material in relation to personal injury cases. 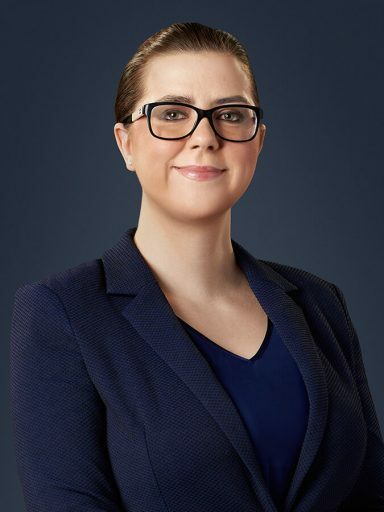 Melanie has extensive knowledge of the Rules of Civil Procedure and the Courts of Justice Act which she utilizes to help clients pursue their claims. Melanie is frequently the point of contact of the firm with the Courts of Ontario. Melanie is integral to preparing motion records, trial records and other court documents which the firm uses to advance the interests of our clients. Melanie has particular experience assisting car accident lawyers in complex cases with serious injuries. She understands how debilitating injuries can have profound effects on people and their families, so she does everything in her power to help our clients. Besides reading about personal injury, Melanie is an avid traveler and enjoys watching sports and cheering on her favorite team, the Toronto Blue Jays.